On Sunday evening, my one year old son Tahj and I went to my mother’s house to take a fresh because no water was not at my house. In the night my baby father Richard, came for us to carry us home. On our way home, the car broke down at Discount Lumber and Hardware near The Clock Gas Station. Being that it was only the two of us and the baby, Richard suggested that he’ll push the car and I’ll stare it to the gas station. I agreed and went in the drivers seat. Which I was doing, but the car won’t stop and headed down the hill. The car almost turned over with me and Tahj. 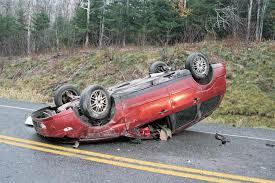 I still can’t figure out how the car did not turned over with me and Tahj but as I said before… Jesus took the wheel. I thank God that He took the wheel and saved my son and I life. He has never forsaken me and He wont forsake you.